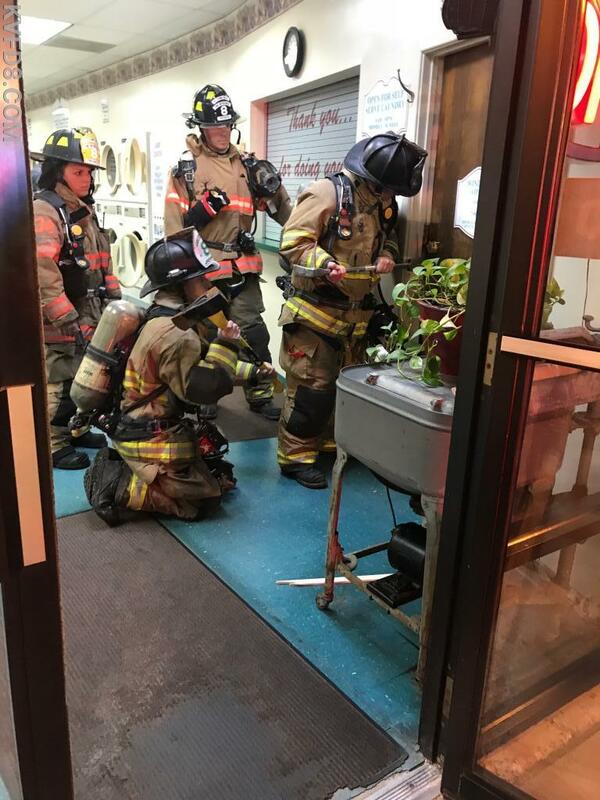 At 7:02 AM, KVFD was dispatched to a dryer fire at the Neat and Clean laundramat on Brandt Street in Parkesburg Borough. 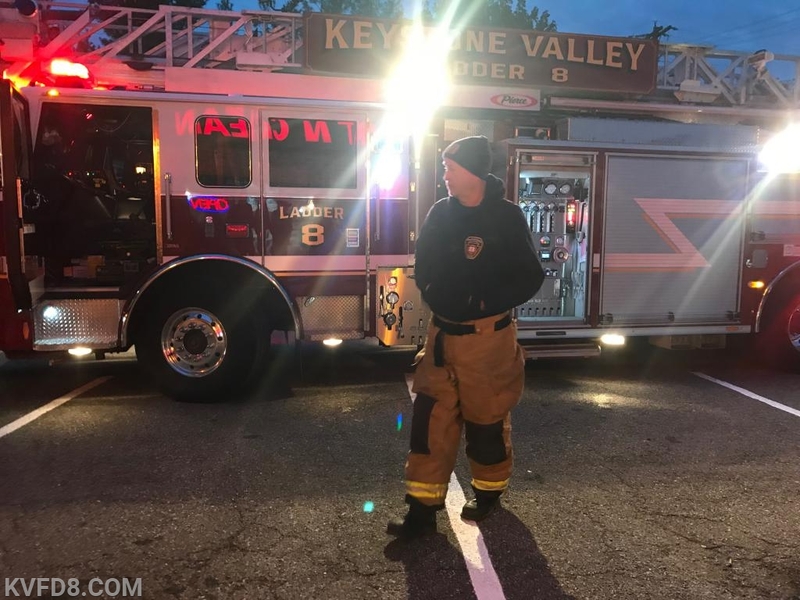 The caller reported a fire in a dryer with smoke coming from the unit. The department had just cleared the garage fire so the response was immediate. Deputy 8 arrived and reported that there was nothing showing. 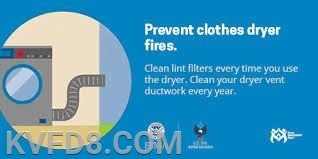 Investigation revealed that there was a lint fire at the rear of one of the dryers. 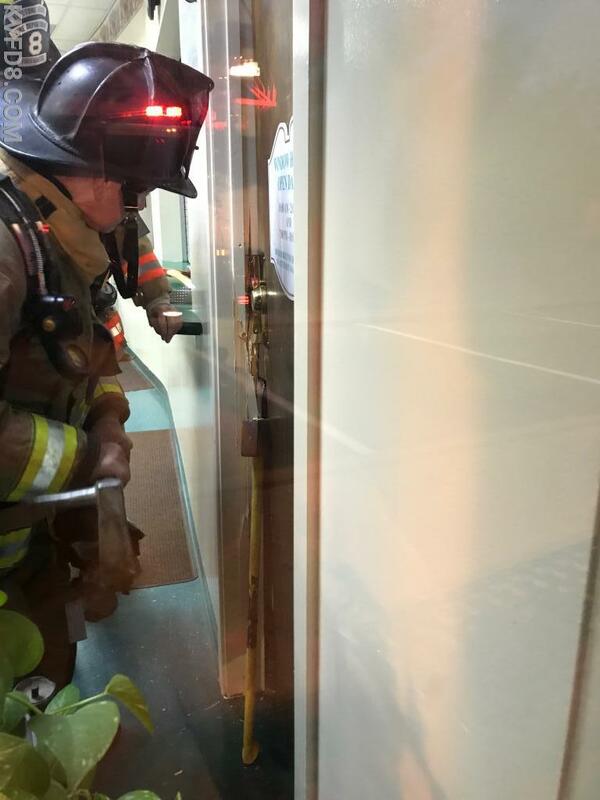 Firefighters had to force entry to a locked room to access the back of the dryer and then extinguished the fire with a "water can." All units were available at 7:28 AM. Firefighter's forcing entry at today's dryer fire.